You know how you meet some people and you just get this feeling like this will be a special collaboration. That’s what it felt like to meet Stephanie Henry while we were making #standwithme. Last year Steph released her book If Only I Could Sleep. This year she asked if we could create a trailer to help get her book out there. 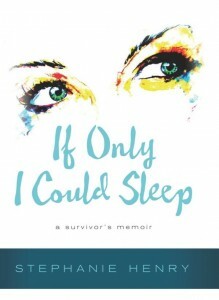 If Only I could Sleep share’s Stephanie’s story in growing up with a great deal of emotional and sexual abuse. The book shares her intensely personal journey to personal redemption and healing. We started with the obvious – we could interview Stephanie, and a handful of other people related to her book, and slap that together with broll of her today along with elements from her childhood. That felt too simple, too safe, and like it really wouldn’t create a strong enough connection to who Stephanie was and what her world was like. In reading her book we found a chapter where she shared a high school English assignment; she’d been asked to write about what her utopia, her perfect world. Within If Only I Could Sleep they reprinted the entire essay she wrote in 10th grade, September of 1981. The essay offered a beautiful but heart-wrenching portrait of her perspective at 15. It was both honest and subtle. And it did what any good book trailer should do – it made you want to know more of Stephanie’s story. There it was the perfect monologue for our piece. Rather than the traditional approach of interviewing Steph and several other people related to her book, we could do something very different. We could recreate that day in the 1980’s when Steph read her essay in front of the class. Steph loved the idea and believed in it (and us) enough to increase the budget to allow for a scripted piece. With that began months of pre-production for two days of production. Until you’ve done it, you just don’t realize how much time can go into casting, art direction, lighting plots, and camera moves as you prepare for a scripted film. Making our first scripted film, My Utopia, taught us just how much further you can push the story when you can control every element. We’re excited to share a series of blog posts on the cinematography, lighting, and art direction in the making of this film. Our first post in the series is on the cinematography; camera choice, creating the overall look, and designing our toughest shot within the piece. We started by taking the essay and turning it into a storyboard that would lay out the different shots and angles we were seeing in our heads. From there, the team split up and we started developing in several directions at once. One of our biggest questions in the beginning was – what camera was right for My Utopia? This film was so different from anything we’d done in the past. We had to take our time and make sure we were choosing a camera and other gear that would best fit this story while not falling into the trap of choosing whatever it is we’d normally use. While we love the C100 for run and fun docu-style stories, this piece would have far more time to setup and get the shots just right. In looking it all over, we chose to shoot this film on the RED Epic (with a little Scarlet in there too). While every camera has both pros and cons, one of our jobs as filmmakers is to match the stories strengths to that of our camera, while not over-exposing any of it’s weaknesses (and all cameras have them). The major drawbacks of RED are commonly though of as the resources it requires in time, space, and support gear needed. For My Utopia, a scripted film, none of these would be issues. So that left us with only the advantages of shooting on the Epic. What are the advantages to shooting this piece on RED? We wanted this book trailer to feel like it could be the trailer to a movie (as opposed to an old home video of Steph’s). Making it look and feel bigger would make the story feel bigger, and that would be part of the draw in getting people to check out her book. 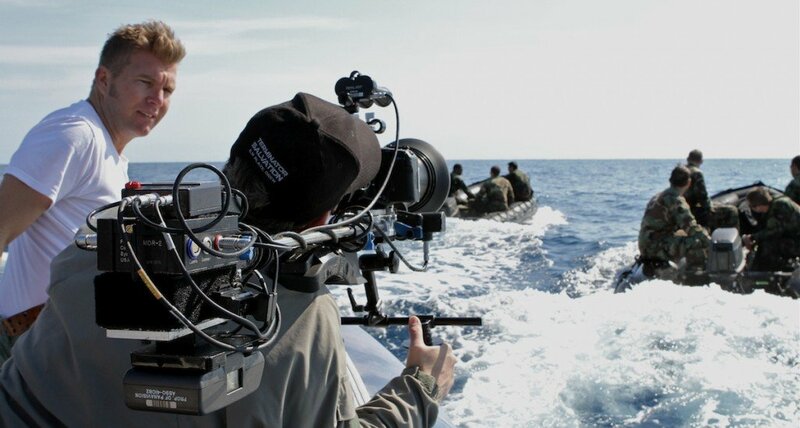 With the RED Epic we could shoot the piece in 5k as well as in raw. This extra resolution and lower compression meant a much stronger image and one that would look fuller or deeper, due to the wider color space. It also meant we could really push the look in post, which would be a huge part in pulling off the feel that it was a 1980’s classroom. My Utopia was shot in RED Raw at a 10:1 compression ratio. We find that to be a strong balance of file size and image quality. We often shoot at 10:1 unless it’s for broadcast (say CBS) in which case we will go more compressed. When we shoot slow motion at frame rates higher than 96fps, you need to use the Epic in a lower resolution (1-4k) and we always lower the compression as the resolution goes down to make the most of what we do have. In other words, the closer our shooting format is to the delivery format, the less compression we use. Another huge part of the overall look of the piece was shooting it in a 2.4:1 aspect ratio for an ultra-wide screen look. It certainly helps to give the trailer a feature film look from the first frame. We also wanted to utilize the extra wide frame to make a stronger statement with our compositions. As an example, in this shot Steph goes from a happy, bright part of the story into one of the darker portions. We’d storyboarded this to start in a more comfortable composition that gets more tense, and short-sided, as the story gets darker. In the image below, you can see the exact same shot if it was a 4:3 aspect ratio (the top), a 16:9 ratio (the middle), or the 2.4:1 ratio (the bottom). You’ll notice that as the aspect ratio becomes less square, we get much more opportunity to use the elements across our frame to make a statement. In a 4:3 ratio, our shot looks nearly centered and doesn’t carry the same anxiety that we can feel in the 2.4:1 final shot. The Epic also let us shoot at a wide range of frame rates for slow motion. More than just the option of 24P, 48P, and 60P found on a lot of DSLRs, you can dial in the exact frame rate you’d like – say 41fps, just for the fun of it. We had two ways we wanted to use slow motion in My Utopia. This story is set in a high school classroom in the early 1980’s but as Steph starts to read her essay, we cut to her memories of the moments written about in her essay. We wanted these flashbacks to have a different feeling than the classroom scene without doing anything as strong as a completely different color treatment or strong slow motion (which we felt could take away from the cohesiveness in going back and forth). For this reason, we chose to shoot all of the flashbacks at 36 frames a second. An uncommon frame rate and one that would give the flashbacks a bit of weight to them, a slight hesitation as the memory is being recalled, without being overly dramatic. Take a look at the monitor on the Epic which is a touchscreen that lays out all of the settings around the perimeter. At a glance you can see all of the camera settings and the exposure (via the histogram in this image). We also wanted to call attention to specific moments or details, such as the perfume coming out of the bottle, as a way highlighting salient details in her memory as she relived them. In each scene we chose one key detail and shot that at 96fps. Things like ketchup coming out of the bottle, the spray of perfume, or the popping of bacon grease. Ultimately, this part really didn’t work out as well as we’d hoped. Even at 96fps the ketchup coming out of the bottle feels fast. 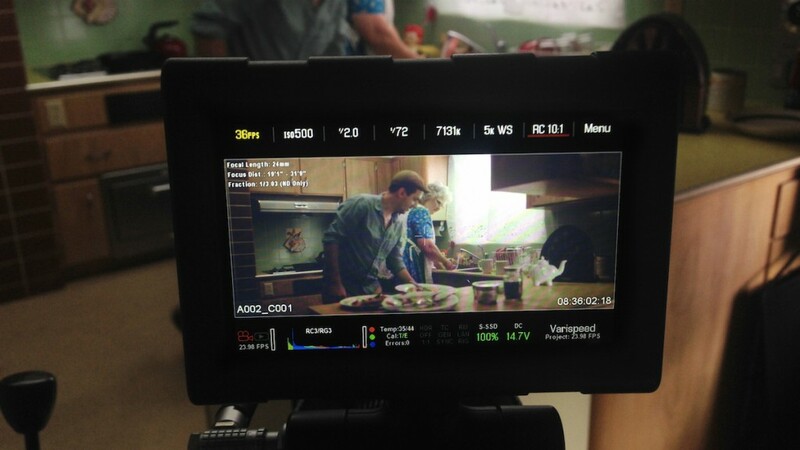 When it came to the bacon grease, we just didn’t have enough light to handle that much slow motion (and that’s with a 2k HMI pushing through the window). The final piece has all of the memories at 36fps with a few details and moments that are in the 60-96fps range, which is less consistent than we’d hoped for, but ultimately doesn’t feel like a big detriment to the story. One of the most powerful ways the RED added to this story, and something that is often under-utilized on smaller productions, was the ability to dial in a look before production began. On the day of rehearsal we rolled on a few takes. These were then loaded into Red-Cine and the final look (or close-to) was created. That look is saved and exported to a card, then loaded into both the Epic and the Scarlet. While filming we could see the final graded look, while also clicking ‘Raw’ on the monitor to see the image without any adjustments. This was huge in letting us see how the lighting, art direction, and camera choices were all coming together to create the final look of a scene. My Utopia is set in the 1980’s and has a strong juxtaposition of bright innocent along with Steph’s dark reality. The image below shows the graded image, straight out of the camera (left hand side) as well as the raw image before any processing (right). Because this is shot in raw, we could go into RedCine (Red’s free program for processing Red files) and turn on or off the look, as well as adjusting tons of settings, including the ISO or white balance all with no degradation to the image. As you can see, we crafted a fairly strong look in Red-Cine that would help convey the time period and emotional tone of the piece. The Epic was connected to a big 52” LCD. Though we were standing in a classroom on a random Tuesday morning in 2014, as soon as the look was applied, it felt like we had just stepped back in time. It really reaffirmed for us the power of color to convey your story in a powerful way. And, what you see in the final film is almost entirely the image straight out of the camera (with the look applied in camera). When it comes to the look of the film, of course it’s more than just the aspect ratio, compression, and frame rate. The actual shots and what they are intended to communicate are a much more challenging part of the creative process. The shot that I’d really like to breakdown and share with you was one of the most challenging to pull off, but also one of the most important – the opening shot. It also turned out to be one of the shots i’m most proud of within my filmmaking career. As with any piece, the opening serves as your hook, it needs to pull you into the story and give the viewer a reason to want to watch. A bad hook and most people will click off to something else, never seeing the full film. The hook in My Utopia was designed to slowly bring you into the scene and moment where Steph shares her essay. It’s a 17 second fluid shot that slowly reveals itself to you. The first few frames show you nothing but an old wooden floor along with desk and chair legs with kids items strewn about. Everything in the scene is old. Paired with the sounds of kids chatter and notebooks opening, we are immediately dropping you into what feels like a classroom, and one from long decades ago. A few seconds in, we hear the teacher call out ‘Steph, it’s your turn’ which introduces us to the main character as her feet enter the frame. We continue to follow her up to the front of the classroom and slowly rise the camera bringing a hand-written essay into frame. This starts to reveal the plot to us. Steph is heading to the front of the classroom to share some sort of report. As Steph turns around, we continue to rise up with the camera and reveal her face for the first time, full of hesitation and anxiousness as she takes the last few moments before she starts. The camera finally stops tight on her face and we live with Stephanie, feeling her hesitation and anxiousness until she begins by announcing the title of her essay, and the premise of the story My Utopia. The opening shot breaks right after she begins the essay, bringing us out to a wide of the classroom showing us more of the space we are in. By avoiding any cuts in what is a 17 second opening shot, we immerse you in the environment and make you feel it right away. Every edit is a chance for us, as editors, to hide or change things. Long shots with no cuts help to increase our suspension of disbelief because we have no cuts to hide anything from you, the viewer. An amazing and multi-million dollar example of this technique can be found in the 7+ minute shot in Atonement. That took them days of rehearsal with hundreds of people to coordinate. But the end result is a powerful way of letting the viewer feel the reality of the story. All of that and 33 takes. We were oh so close of running out of time on this one. Rehearsing the opening shot. Trying to channel my inner @vincentlaforet in pushing the story through the movement in the shot P.
In total, we worked through pre-production over the course of 3 months, went into production for 2 days, and then spent about 3 days in post. On our Storytelling With Heart tour we talked about the idea that a remarkable story is told well before the cameras roll. But until I went through the process of making My Utopia, I never knew just HOW much time time and thought could go into something so short. Take a look at this opening wide frame of Steph in the classroom and look at just how many details had to be planned out. It’s a ton of fun, but also a ton of work to dive into that much detail for every scene (and this doesn’t include the lighting and camera choices). And here is the room when we first showed up. It was being used as a medical school. In making this piece I learned the incredible power of directing every element. Every detail of the film resonating with purpose, every choice pointing the same direction, all hands on deck focused on the same story. It may be obvious to those that regularly shoot scripted work, but for somebody coming from weddings and events, it’s a whole new world. Going through the process of casting, wardrobe, and designing locations – it all offers so much potential to go much deeper with your story. Here is the final film. My Utopia. It’s unlocked a whole new world of storytelling to me. I can’t wait to get back out there and shoot another scripted piece. If you’re interested in Steph’s book If Only I could Sleep, you can get it right here from Amazon. Have any questions about the making of My Utopia? Join the conversation in the comments below and we’ll be happy to share more about our process in bringing this to life. FANTASTIC!! Such a powerful message and so subtly delivered. Love keeping up with you guys and your heart based work. On the business side, what lessons did you learn about proposals/quotes for scripted work? I too come from an events/documentary-style background but my agency wants to explore scripted stuff. I’m pretty good at anticipating time/cost for non-scripted work but for this kind of stuff I’m out of my element. Great work! We are working on a piece with a similar subject (sexual abuse of young people). It is so awesome to see the different ways that you pulled off your shots to convey certain ideas and feelings. Comparing that to our planned shots will definitely help us dig deeper into the story! Thanks for sharing! It was such a fun part of the process to look at an early storyboard and ask ourselves ‘how can we go deeper’? And then think about color, composition, lens choice, etc and see if they were all pointing in the same direction, were they helping further the story? Lot’s of our strongest ideas in having the story come through in the cinematography came our of those meetings where Joyce and I sat and asked how we could go deeper. Glad to hear you are on the same path and that this piece has inspired you. That was a stunning and inspired piece of work! Beautiful way to tell her story, which so deserves to be told. Very cool Katie. Near the opening of Children Of Men also has a pretty insane long take, but it didn’t feel as strong of a ‘why’ as Atonement. Thanks Patrick for taking your time talking and getting us details about this. Very helpful and inspiring. 1. Why to choose those colors within the time/history? 2. What mayor challenge you needed to confront between history and tools to be used? 3. How could you budget something from the first time? You said this was the first scripted work you where doing. What change between weddings/events to scripted? 1. In terms of the color, there were a couple things to consider. The overall theme of ‘My Utopia’ as well as the time period. For the ‘Utopia’ portion, we wanted to keep it warm as well as not give away the turn in the story. Warmth is psychologically tied to connection. It’s pretty crazy just how deep that goes i.e. if we are in a warmer room, we are more likely to interpret an ambiguous social situation as warmer, or more friendly. So the warmth helps create connection and feel the Utopia portion. By making it feel more of a Sepia warm then we get the tie to and older more nostalgic feel. The time period is mostly conveyed in the curves. The whites aren’t as white and the blacks aren’t as black. Yet with the blacks it’s not the same as just lowering the blacks. We brought own the blacks so it had contrast – like an image from that time would, but then we raised the overall floor so that it was moving towards grey – giving the feel of a worn photograph that has been sitting in the sun for years. We also used RGB curves to add blue to the dark tones and warmth to the highlights – which related to the split personality of the piece (and the split lighting in the classroom scene) where she is so happy on the surface yet there is something that is being hidden. 2. I am not sure i understand your question on tools and history. Our biggest challenge in the time period was less in camera and more on art direction – finding that right Shalimar perfume bottle, the right clothes, and even pictures for the walls of the classroom. 3. We’ll tackle the budget question in the overall post on story development and producing. That’s a great one. That’s certainly one of the best compliments we could receive. We strive to make real connections through our stories and so much of that comes back to sharing humanity and truth. And when you, as a storyteller, develop a strong purpose and you stay true to that, it absolutely comes through for the viewer. We had the incredible luxury in this piece of not needing to make it commercial, not needing to sell the book, and that is something we are so thankful to Stephanie for. Telling her story, recreating a day in her childhood, in a real and authentic way was the best way to tell this story. And because nothing else had to be inserted and we could just let the story come out, you can again let that humanity and truth come through. Patrick, thanks for your time and kindness. 1. Pretty thank you for the details about color. 2. You nailed it. Sometimes my spanish mix up with my english. At the end, you focused more on how to represent the time, ambient and details more than going around cameras and other things. You get me really deep on “My Utopia”. A great deal of work that is invisible in the story. That’s difficult to do, and you do it very well. I am 70 and have two daughters & two granddaughters. The thought of anyone abusing them…let’s just say, it wouldn’t happen twice. I always listen to my children and grandchildren. They all feel comfortable with conversations. I never judge them, but I do add my story to theirs. Listen to your children, have conversations….real words, not electronic ones. Protect them. I just finished my first Kickstarter video for my Bracket Bots. It launches in a few days. Talk about conversations, mostly about why at 70. My oldest daughter says; “because he can”. Been following you for many years. Thanks for sharing Brian. Listening is one of the most powerful thing was can do for others. I’ve certainly learned that more and more over the years. Just letting people be heard. Great acting too by the main talent!! I would be EXTREMELY interested in getting some hints on directing actors. How to drive or provoke them to act according to your vision and beware of giving result direction. I think this is a topic overlooked by a lot of directors coming from a cinematography background like me, to not get lost in visuals and sacrifice a good performance of the actors. This is an extremely though one for me, as I often both DP and direct shoots when they´re on a budget. Great points Abo. The tilt down and tilt up were used a lot in this film to suggest power and perspective. We’ll also think on the directing notes. That one is tougher as I personally don’t have a ton of experience, but we have some folks in the office who have done it way more than I have and perhaps they can help pull some experiences and ideas together. I would like to see the plans you made in pre-production vs the actual turn out of the creation process in production. Were there compromises you had to make between the story board and the actual shoot or were you pretty much dead on? Personally, I am really interested in your lighting set up and camera moves. I think seeing the plans for your shots and light set ups compared with the actual shots would be helpful for me. Also, is there plans for a feature film? I would see it. Wonderful work guys! Some great ideas for us in the coming posts – thanks! Patrick and team…superb work AGAIN. It is amazing and inspiring to me to see how you can move and push the edges of your skill and knowledge to use new ways to create such touching and outstanding footage. Many would plateau in the areas that they have become known for but you keep moving…and moving others. Your commitment to sharing all the details are a testimony to your passion and character. It is so fun to see your blog posts. You have created a lively community of apprentices. I’m sure I speak for many when I say thank you for your generosity and kindness! Can’t wait to see what’s next! Dave, appreciate the thoughtful reply. Congratulations on your first short. The scene with the stepfather wiping the frosting gives me chills each time I watch it. You told a very tough story with tenderness and intimacy. Well done! Thanks so much David. And congrats on your film for Storytelling Parade. That scene with the frosting actually has a ton of backstory too. Excited to break it down in the story development post. Love the breakdown before showing the whole piece, allowing appreciation of all the little bits and pieces that make up scripted work. Super impressed with the short itself – great combination of art design, lighting and sound to achieve a particular feel. Quick technical question – I noticed in the BTS that the movi is fairly heavily loaded with gear in addition to the RED – does this affect shooting time at all (i.e. were the camera operator’s arms tired?) or is there another mounting option after the 30th take with all that equipment? We debated whether to show the piece up top or at the bottom. But considering the theme of our blog, it felt like it would be more appreciated and helpful at the end. As for the Movi, it certainly was heavy. I, as the director, operated the camera of that shot as it was too heavy for Joyce. In between takes I had a PA take the camera and let me rest. As I got tired, we got further from what we wanted. Around take 25 some other team members had a try and gave me a rest. I believe the solution from here is to add it to a Steadicam and remove the weight from your arms. But in a scripted film scenario the weight really wasn’t an issue as we could break between takes and did pull off over 30 in the end. That rig in an event setting is tough though, as you need to break more frequently than you’d like. wow. very cool, guys. thanks for always inspiring… yeah – thanks for doing that. Beautiful and inspiring. As always. Wow! The passion and desire you and your team have to tell the “real” story is absolutely awe inspiring or in today’s terms Awesome. Thank you for sharing what you have learned. Great job! Beautiful! Going from DP to director, you need to take Ivana Chubbuck’s teaching program or some sort of directing actors class. Ivana is a well-known acting coach and she is amazing– she will take you to another level with storytelling.